When Machelle whipped up her conversation heart confetti I knew I needed to use them for another Valentine’s craft. 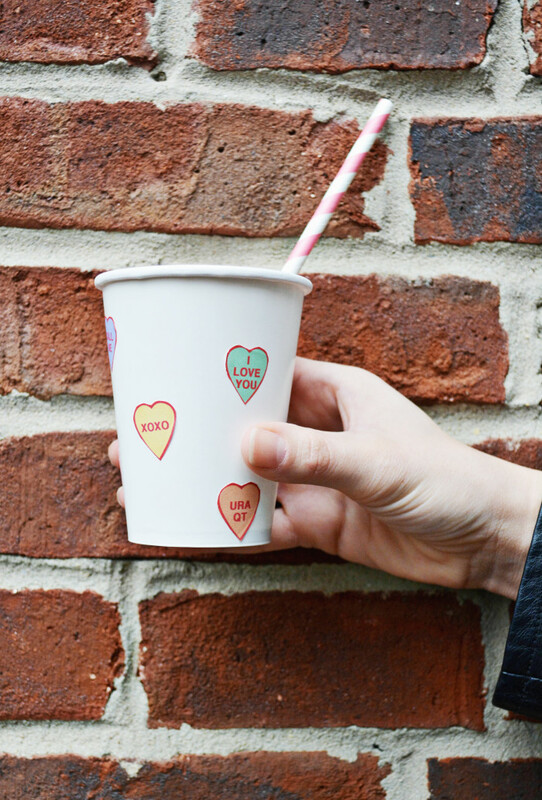 And if you are a return visitor to AJR you know that we are fans of beautifying up simple paper cups (see here, here, here, and here)! So naturally I used the confetti to pretty up some white paper cups! 1. 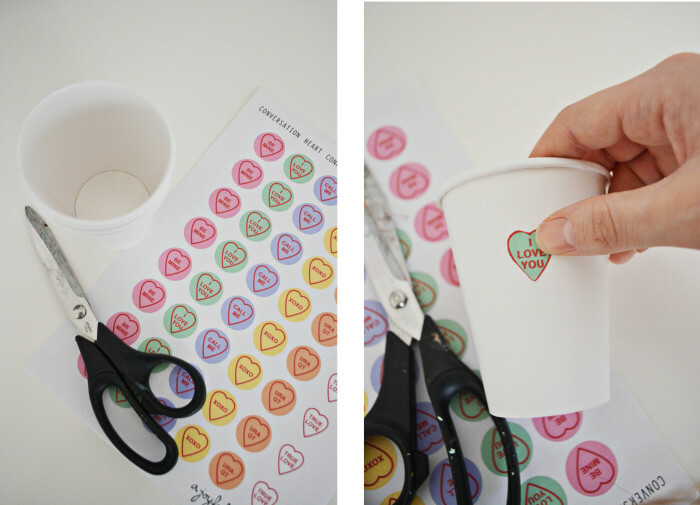 Download the conversation hearts and print them on sticker paper. 2. Cut out the hearts either on the circle or around the heart. 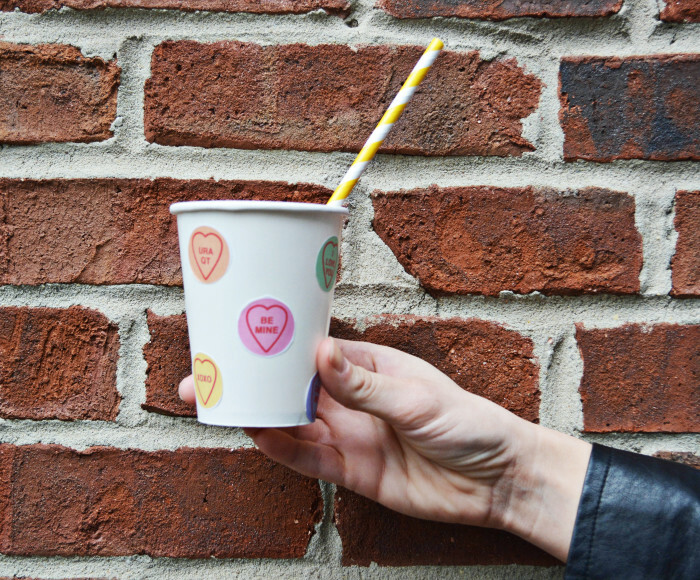 Place the hearts on the paper cups in whatever pattern of your choosing!